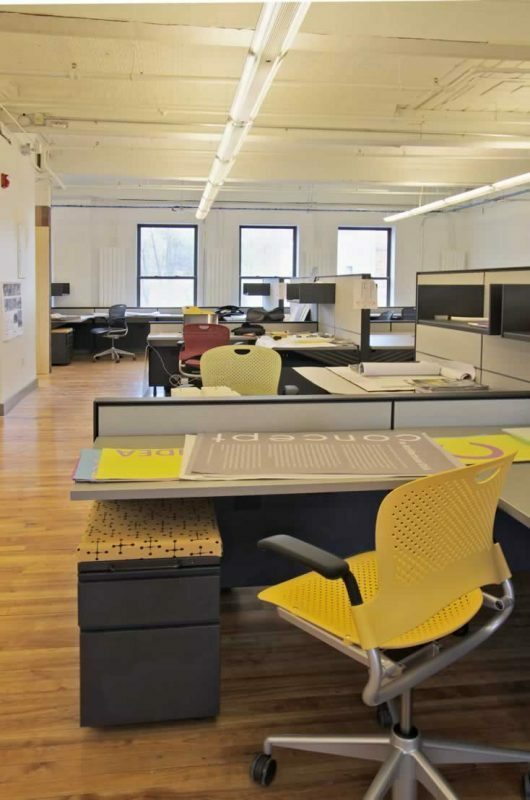 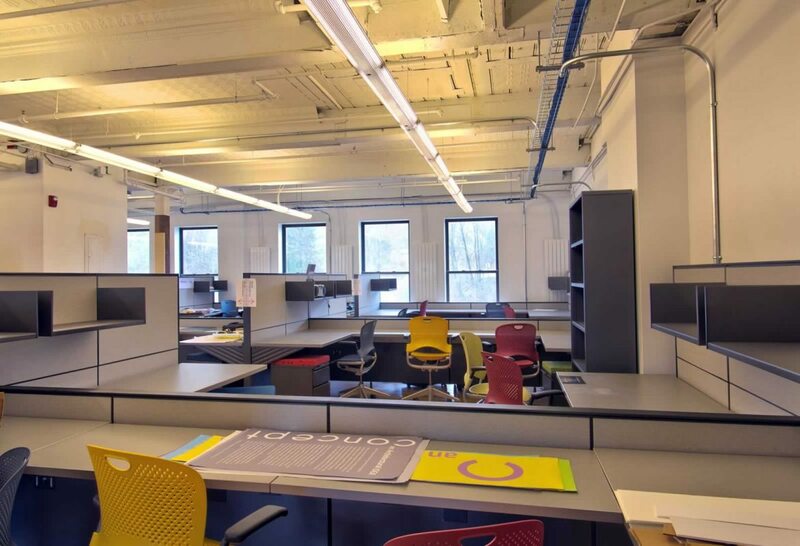 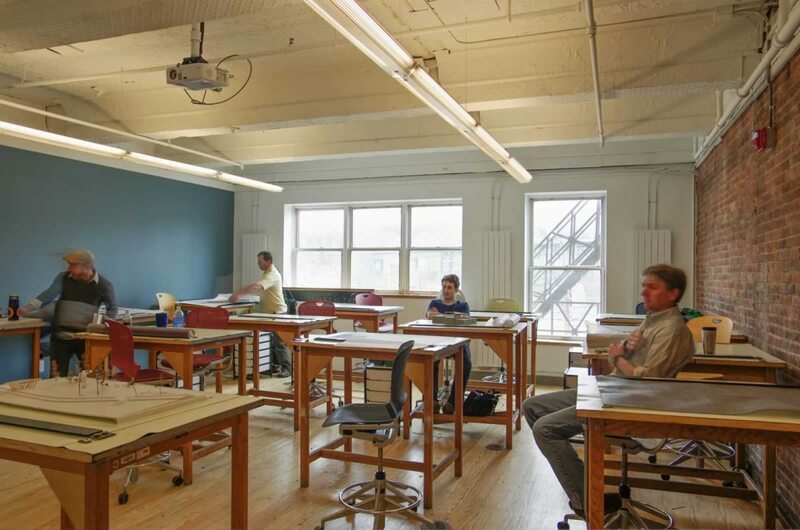 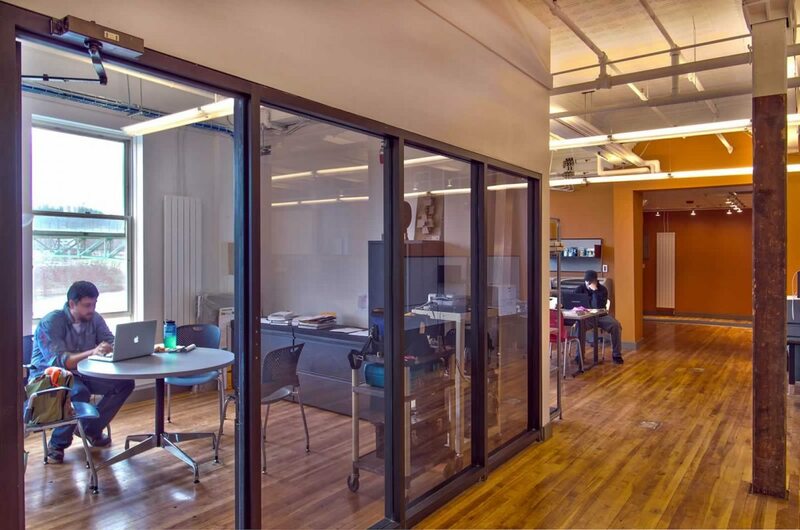 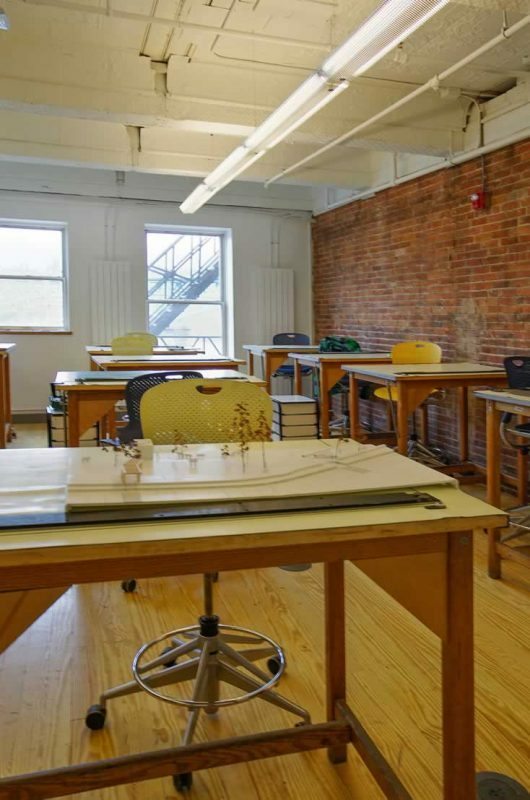 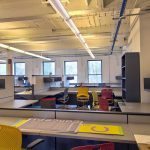 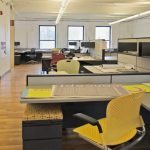 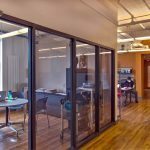 WBRC teamed with UMA’s architecture faculty to transform The Gannett Block, now called Handley Hall, from an office facility to light-filled studio space for art and architecture educational programs. 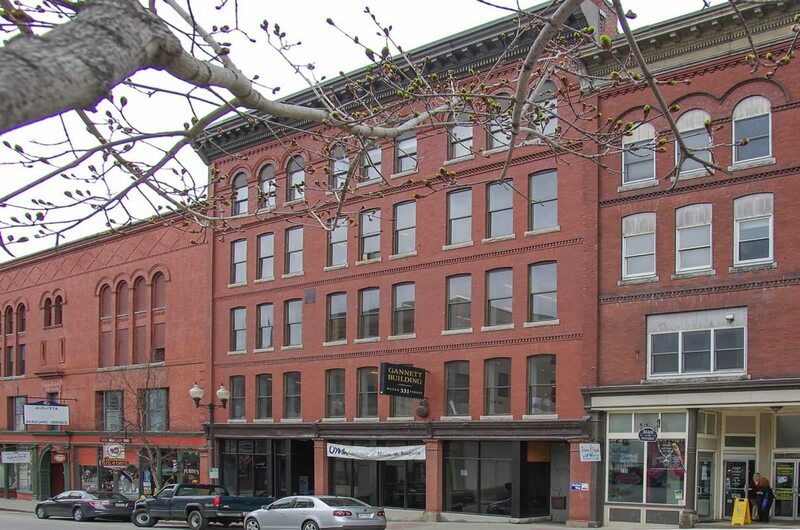 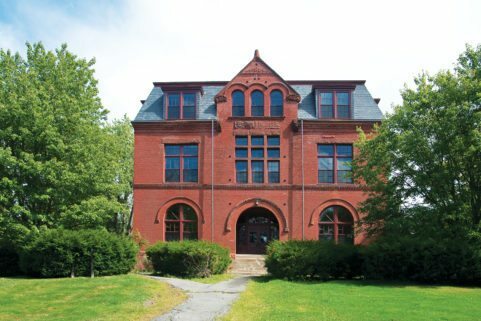 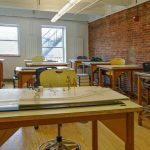 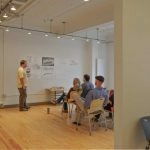 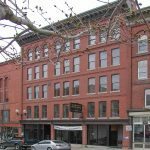 Situated on the Kennebec River, this historic building and surrounding buildings provide an inspiring learning environment for student artists and architects. 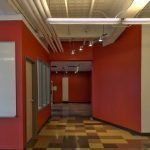 Street-level improvements include a new reception area, faculty offices, and gallery space to connect the academic programs with the community. 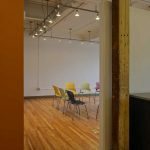 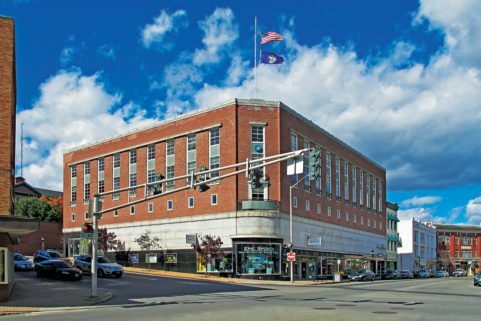 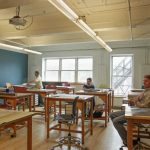 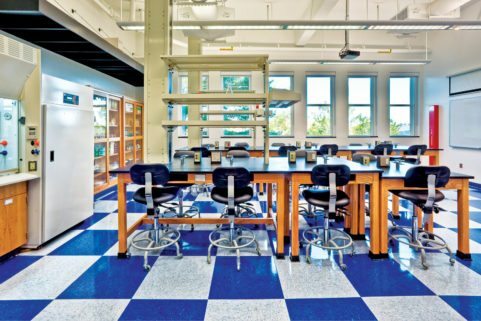 The goal of allowing the building to serve as a teaching tool was accomplished by removing layers of modern renovations revealing wooden beams, punched tin ceilings, masonry walls and wooden floors. 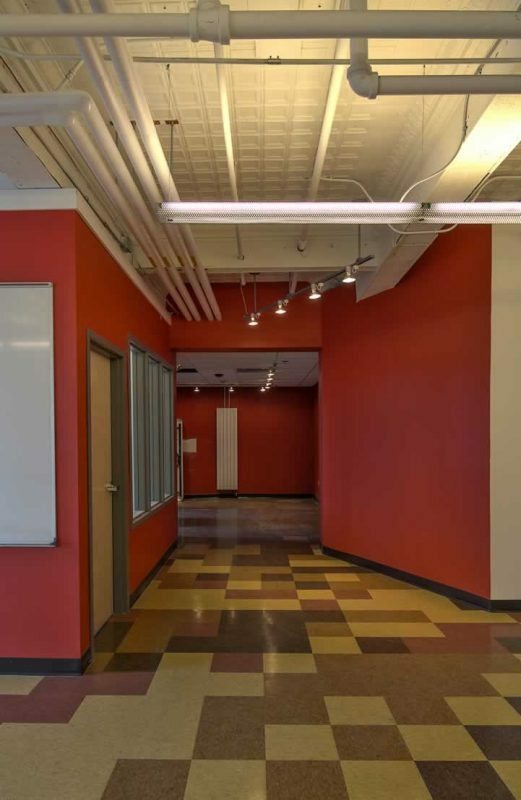 Each floor features a unique, vibrant color at the elevator lobby to assist with wayfinding and give each space a unique identity. 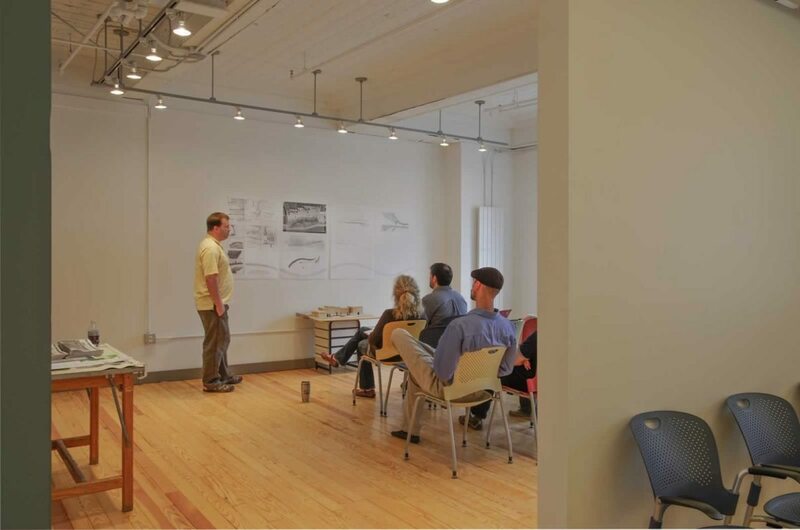 Collaborative learning occurs throughout aided by marker boards and tackable pin-up spaces. 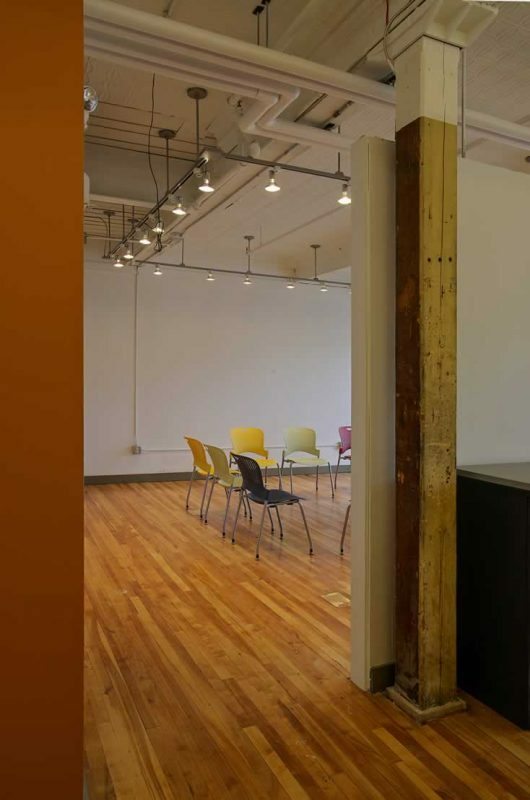 Student work is exhibited in a storefront gallery.